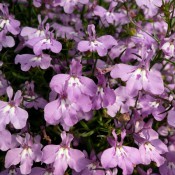 The beautiful colours of Lobelia bring effect and texture to any planting. They create masses of gorgeous flowers in an assortment of colours all summer long. 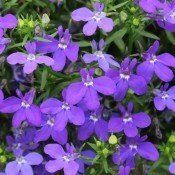 Our Tried & True Lobelias are heat tolerant and weather resistant. 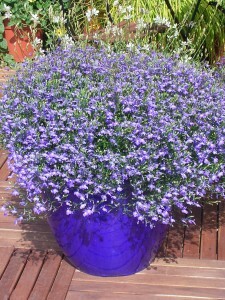 They perform well in baskets, containers, and landscape. The delicate, airy appearance looks particularly nice with broad-leaved plants. Crystal Waterfall boasts a profusion of clear white flowers throughout the summer. 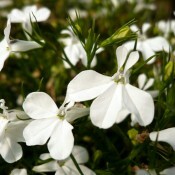 These dainty white blooms are a real delight in window boxes, patio planters and hanging baskets. 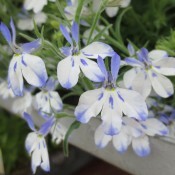 Lobelia Icy Blue Waterfall is early flowering and has large sized white flowers with blue dots and streaks. Blooms remain open in the twilight hours as well as in the early morning hours. 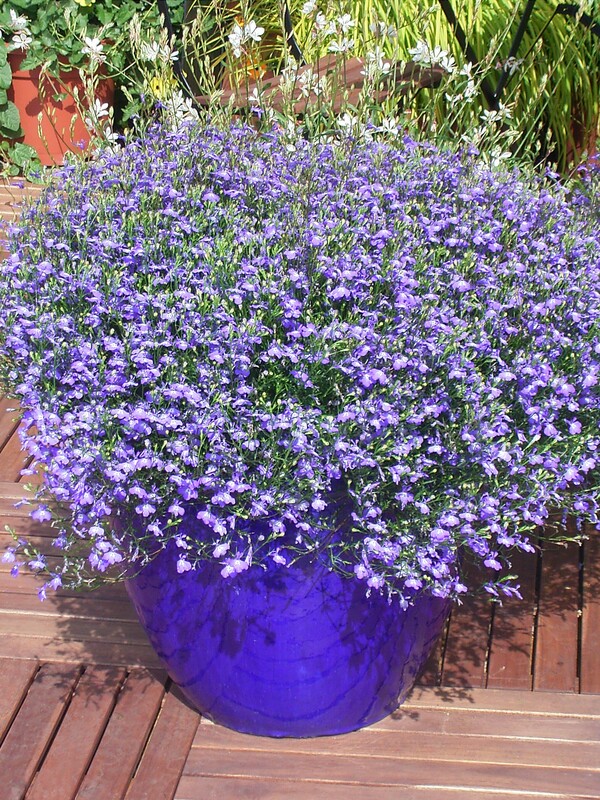 It has a vigorous and semi-trailing growth habit which makes it delightful in hanging baskets, mixed containers, window boxes and planters. Lavender Waterfall boasts a profusion of brilliantly purple flowers throughout the summer. These dainty, lavender blooms are a real delight in window boxes, patio planters and hanging baskets.